This blog is for everyone who has been struggling to implement healthy food and lifestyle choices, has restrictions due to allergies/intolerances, or simply would like ideas and inspiration about nutritious yet super delicious food options. I will show you that healthy eating and living doesn’t have to be complicated and should never feel like you are deprived of anything. My mission is to inspire as many people as possible to take charge of their health and live a balanced and healthy life. I strongly believe that living a healthy and happy life goes hand in hand with living in a eco-friendly way and I hope I can inspire you to live the healthy and happy life you deserve to live. This blog is dedicated to give you tools to live a healthy life. Starting with food, the recipes are made of health promoting ingredients and all are gluten and dairy-free, Paleo and mostly AIP. I can’t wait for you to discover a new world of tasty foods that will nourish you and make you feel your best. My mission is to not only make healthy eating super delicious but also make healthy living fun and practical. You can find articles that facilitate the process in the lifestyle section of this blog, covering health related topics, practical tips and tricks and sustainable living. Nothing makes me happier than promoting health and wellbeing and watching the ripple effect in action. If you too want to promote health within your community or business you can find more information on bookings of seminars and workshops and brand collaborations in the work with me section. For additional support and if you are ready to take your health to next level check out the health coaching section. I love working with clients and helping them unlock their full potential. Hi, my name is Annika. I am a certified holistic Health Coach, a certified Autoimmune Paleo Coach and the author of ENJOY. 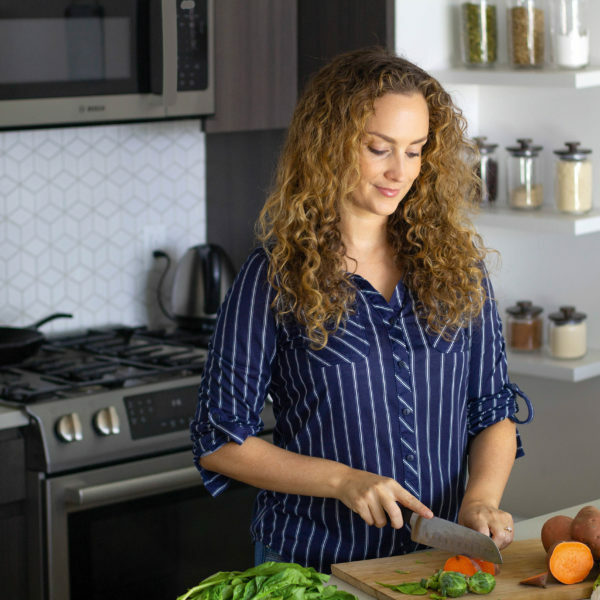 I am passionate about helping people unlock their full potential, creating delicious recipes for people with food restrictions and living a sustainable lifestyle. I was born and raised in Germany and currently live in NYC with my husband. Following the autoimmune protocol since 2015, due to struggling with rheumatoid arthritis, has helped me manage my symptoms. In 2016 I started this blog to inspire others to take charge of their own health and find delicious alternative food options. I have experienced firsthand the impact of food and lifestyle on my own health. Struggling with a lot of sickness during my teens and early twenties, traditional Western medicine was not able to help me. After many years of frustration and sickness and trying all sorts of therapies, I came across the then relatively new concept of food sensitivities and the “leaky gut syndrome” . With the help of my doctor I was able to stop taking asthma and thyroid medication and was finally healthy again, mainly by changing my diet (cutting out gluten, dairy and processed sugar). That experience completely changed my life and my outlook on food as medicine. Unfortunately, years later, major stress, unhappiness and a certain laziness to stick to the diet that I knew was good for me, made my health crash again, and I was diagnosed with uveitis and rheumatoid arthritis. I was working as a professional dancer at the time, which was a huge setback in my career. It took me another 2 years and developing severe seasonal allergies to pick myself up. I knew the solution would not be to pop more pills and I decided that I had to put my health first and I drastically made a lot of changes. From that point on, I went on a mission to clear out everything that was toxic and bad for me and fill my life with only nourishing things and happiness. I went on the autoimmune protocol, started seeing a functional doctor and step-by-step got rid of toxins. After a few weeks I was symptom free for the first time in years. Empowered by the experience, I wanted to share my story and recipes with the world and started this blog. I also got certified as a holistic health coach at the Institute for Integrative Nutrition and as an Autoimmune Paleo Coach with Mickey Trescott, Angie Alt and Dr Sarah Ballantyne. I truly believe that most diseases are avoidable by living a healthy lifestyle and my mission is to help people avoid having to go through what I went through. 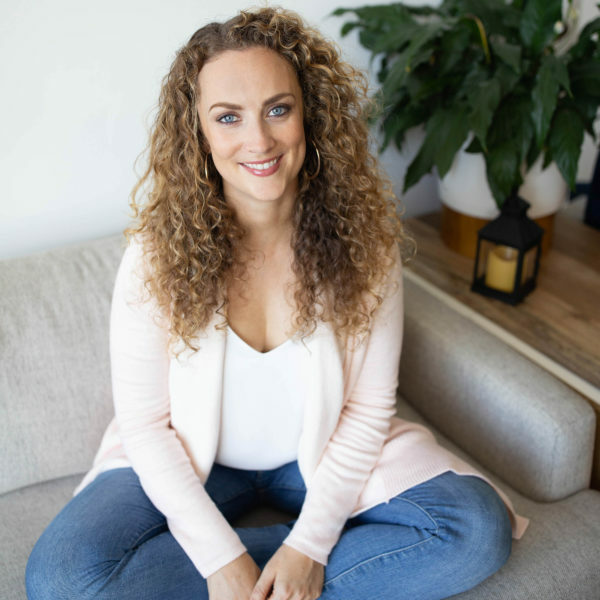 By sharing my story, my own experiences and my knowledge as a health coach I want to show you that even being diagnosed with an autoimmune disease doesn’t have to be the end of your health, career and happiness. For me, embarking on this journey was the start of something really amazing, even though I could not see it back then. Do all recipe have avocado or what's with the name 50 Shades of Avocado? Actually most recipes don't have avocado. When I first started the autoimmune protocol I ate a lot of avocado and I put it into everything. Desserts, smoothies, salads, you name it. I was so excited about my new food choices, how delicious they were and how good they made me feel. It became a running joke whenever I told my mom about a new recipe I came up with, that avocado was one of the ingredients. So when I decided to start a blog and had to decide on a name, I said "50 Shades of Avocado" more as a joke. I liked how it was funny, catchy and easy to remember. Now years later I have discovered a lot more ingredients and started focusing on eating a lot more local and seasonal in regards to sustainability, so I naturally eat a lot less avocado. I still love it though and whenever I am in Mexico I am right back on the avocado every day for every meal train ;). Is your autoimmune disease cured? As of now there is no cure for autoimmune diseases. There are however ways to reverse the symptoms and put the disease into remission. The autoimmune protocol is a tool that has helped many people from bettering their symptoms to full remission. With the help of their doctor some people are able to come off their medications as well. I am one of those examples. Right now I don't have to take disease-modifying anti-rheumatic drugs (DMARDs) or steroids anymore. But that doesn't mean that there won't be a point in the future where I have to take medications again. I also work with a functional medicine doctor to monitor my disease. It is important to note that you should never just stop taking your medications unless supervised by your doctor and also that there is nothing wrong with you if you still have to take medications (for example if organ damage has occurred). Autoimmune diseases are serious conditions and shouldn't be taken lightly.